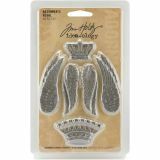 Idea-Ology Regal Metal Adornments 1.25" To 2.5" 10/Pkg - ADVANTUS-Tim Holtz Idea-Ology Adornments. 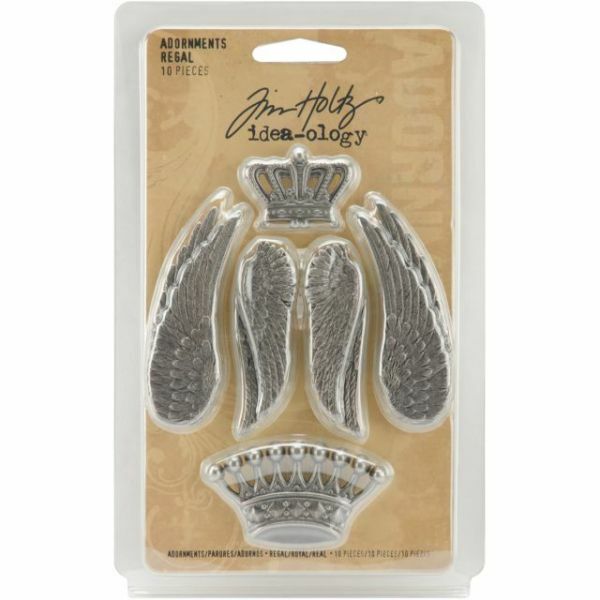 Use these metal embellishments to add beauty and decoration to almost any project! This package contains ten Regal Metal Adornments (2 each of 5 designs). Size ranges from 7/8x1-1/4 inches to 2-1/2x3/4 inch. Imported.